Our current marketing involves your property being shown on a national as well as local level to prospective tenants. We will market your property on Zoopla (one of the largest property portals on the web) where your property can be seen nationally. 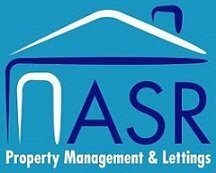 ASR Properties will also market your property on the latest portal we have recently joined - On The Market. Everyone can now also keep up-to-date by joining on to our social network sites to include Facebook, Twitter and LinkedIn. Simply click on the appropriate logos on our website and like or join our page. We are always looking at innovative ideas for marketing your property with quicker returns.